The UNESCO-listed landscapes of the Cinque Terre National Park are a must-see site. 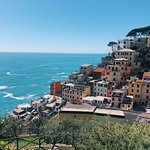 Visit four of the five Cinque Terre fishing towns on a stress-free day trip from Florence, an easy way to eliminate the hassle of renting a car or dealing with public transport. 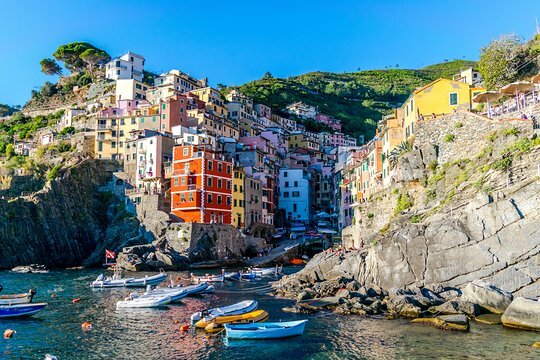 Travel between Riomaggiore, Manarola, Monterosso, and Vernazza by coach bus, boat, and train, and let a guide bring the history of each village to life. After greeting your guide in central Florence, board an air-conditioned coach destined for the Cinque Terre National Park, a UNESCO World Heritage Site renowned for its colorful seaside towns. The first stop is Riomaggiore, replete with pastel-colored buildings and cobbled streets that are best revealed on a walking tour. Then, continue to Manarola to stroll around the harbor and snap photographs of the houses that cling to the cliffs. Travel to Monterosso by boat where, if you’ve upgraded to include lunch, you can enjoy seafood and pasta accompanied by wine at a local restaurant. Opt to sunbathe and swim at a nearby beach before you continue to Vernazza, known for its olive-oil production. Your guided tour concludes with drop-off at your original departure point in Florence. Get quick answers from Cinque Terre Day Trip with Transport from Florence staff and past visitors. Do you do the tour in Spanish? ?